We make your products successful. QA Mentor is multi-award winning, CMMI Level 3 SVC + SSD v1.3 appraised ISO 27001:2013, ISO 9001:2015 and ISO 20000-1 certified leading software testing company headquartered in New York with eight different offices around the world. 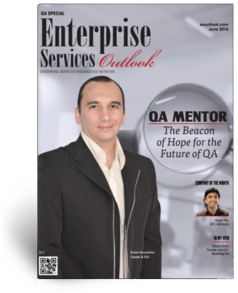 Established in 2010 with an aim to help organizations from various sectors improve their QA functions, QA Mentor proudly boasts of having a unique combination of 274 offshore and onshore resources that work around the clock supporting all time zones. The company supports 382 clients from startups to Fortune 500 organizations within nine different industries. 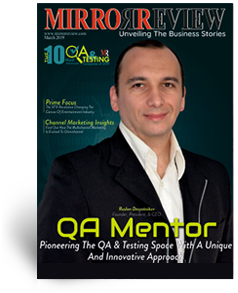 QA Mentor has uniquely positioned itself in the market by providing customizable testing processes and QA software testing services by following a hybrid approach with flexible on-demand testing services and solutions at very economical prices. 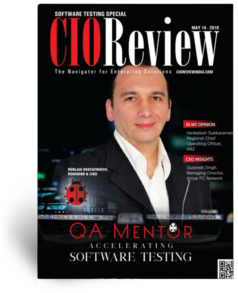 QA mentor provides high-quality testing solutions. Our On-Demand QA testing services for test design and test execution will allow you to schedule our resources whenever you need to. With over 300 mobile devices and 500 browser/OS combinations, we can certify all your products for worldwide usage. We can evaluate your processes of communication, testing, and accountability for efficiency and effectiveness to enhance, optimize, and improve performance. Our QA Automation practice is full of automation experts in a wide range of both open source and enterprise testing tools. Our unique performance offerings encompass capacity planning, performance engineering, and optimization coverage. Our team is proficient in aggressively attacking application defenses from all possible angles to find loopholes and weaknesses. We can execute 10,000 test cases overnight without a need for automation scripts whenever you need us. 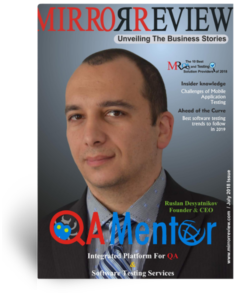 QA Mentor has access to 15,000 QA Testers in over 123 countries. Our ‘crowd’ is comprised of testing professionals, not users. More than 30 corporate onsite and remote training available with 20 e-learning covering entire QA domain. What Makes Us Unique and Better Than Our Competitors? How to Test Without Requirements? We are serving 382 clients from 28 countries ranging from Fortune 500 companies to startups. Senior Project Manager, Sterling Backcheck, Inc. Please complete the form and one of our QA Expert Specialist will be in contact within 24 hours. Alternatively, drop us an email or give us a call.